If you’re like most investors you’ve probably heard about the new fiduciary rule and the impact it will have on the relationship between financial advisors and their clients. While it can be a complicated subject, I would like to help you understand the purpose of the rule and who it will effect. Back in June, the Department of Labor’s Fiduciary Rule officially went into partial effect. 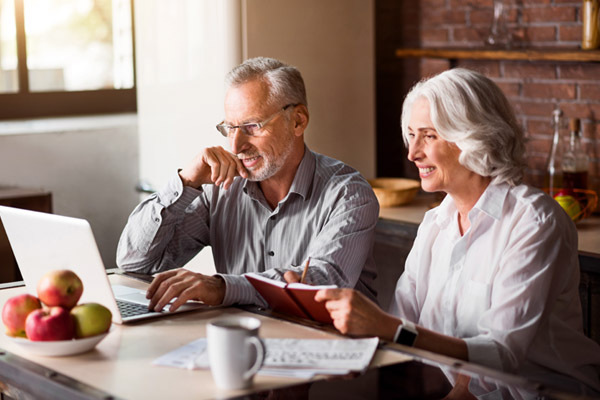 One of the primary goals of the rule is to help ensure that financial advisors place the interests of their clients ahead of their own when offering retirement investment advice. Being a fiduciary means that financial advisors can’t recommend products with high fees and/or excessive commissions which they might benefit from at the expense of their clients. The hope is that the new rule will create more transparency. Under the fiduciary rule, advisors are required to disclose fees up front, making it harder for them to justify recommending high-priced or unsuitable investments to clients. One of the challenges that investors have always faced is a lack of understanding of the financial services field. The industry vernacular is often confusing and investors are hesitant to ask questions of their advisor. The new rule was designed to help make sure that clients are fully aware of any fees they are being charged and to help them become better equipped to choose the best possible financial advisor. Fiduciary advisors are registered with the state or the Securities and Exchange Commission (SEC) and our firm is called “registered investment advisers” (RIAs). RIAs, like us, typically charge asset-based fees and do not accept sales commissions or other incentives. Since Murphy Wealth Management Group is a RIA we are already addressing compliance requirements with the new rule. As you know, we work for a set percentage of the value of your account, so when we make investment recommendations we are always on your side. Many advisors work as traditional stockbrokers or agents and their compensation is typically generated from sales commissions or residual payments. These are the advisors who may be affected by the new fiduciary rule. While the fiduciary rule clearly represents positive change for the industry, its future is still in question under the current administration. The good news is that you can take comfort in knowing that Murphy Wealth Management Group has a long history of transparency and that your interests have, and will always, come first. If you would like us to review your current plan and results, call us for a free consultation.